I can send some info. but email my username with a @ gmail. com after it. Thanks for your input. I took my kale up, ate it and didn't replant it. It tasted pretty good but not worth the effort small amount. Mine kale grew about the same as yours but I figure too small of an area (classic six) to really grow in? I planted all Romaine lettuce in its place. I have one aerogarden (a7) that's all buttercrunch lettuce and it's delicious. I eat out of it regularly. I've got another one that's all tomatoes 5 plants (ultra) and now I have all romaine in the classie aerogarden. Not going to do kale again. I wish I could find a list of recommended veggies don't like planting and not knowing. I have a baby spinach I have been pampering for I know 2 months and it's still a sprout. Anyway thanks again for your feedback. 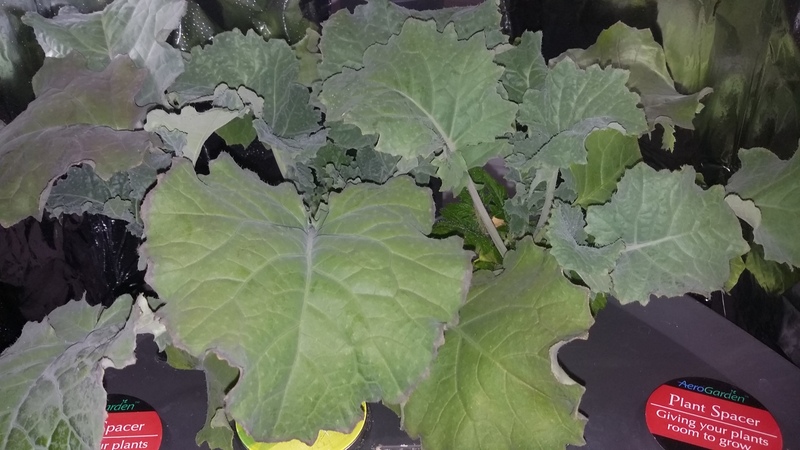 I recently grew kale using the Mixed Kale Seedpod kit. It did ok-got about 4-5 inches high (some varieties got higher than others. I was able to harvest 3 times, each time it grew back. Finally pulled it out and replanted when a couple of the varieties started to flower and got bitter tasting. I tried it and it never got very big. And I didn't like it, so I didn't try harder.